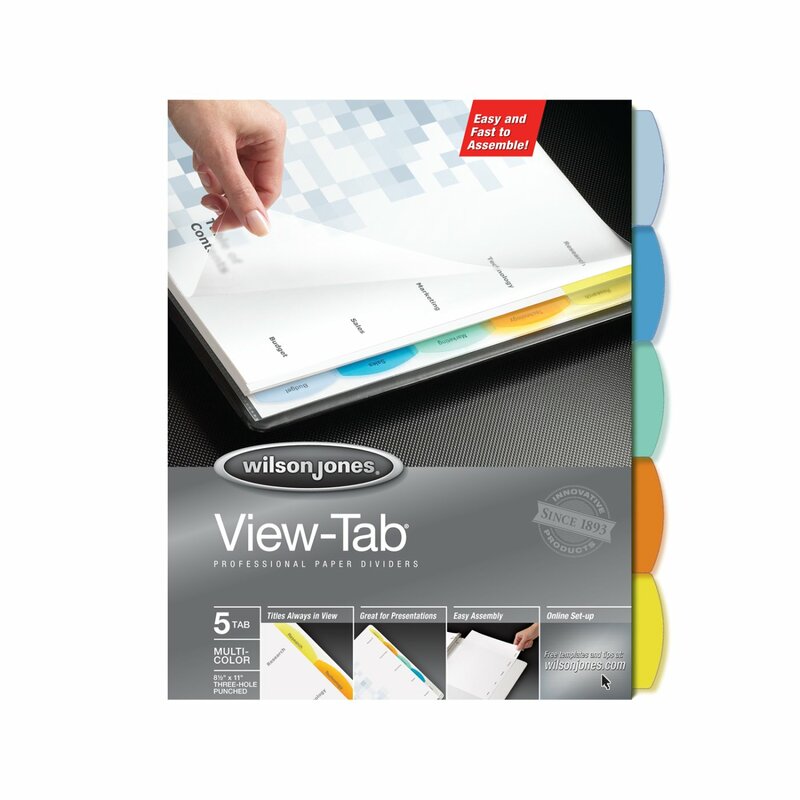 Paper binder dividers with transparent poly tabs keep large presentations organized. 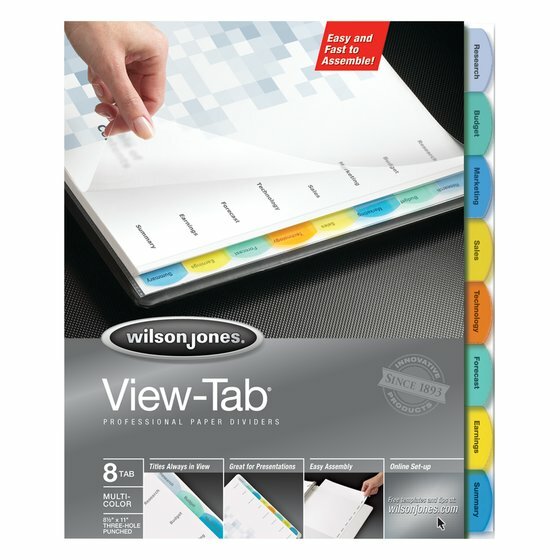 View-Tab design is extremely simple to use - quickly print all tab titles on one sheet of paper. View-Tab lets you print all tab titles on a standard sheet. Insert the whole page in the back of a binder and your titles will show through the tabs.